People of all ages converged on the green space at Trancas Country Market for the Vintage Grocer’s Summer Concert Series. 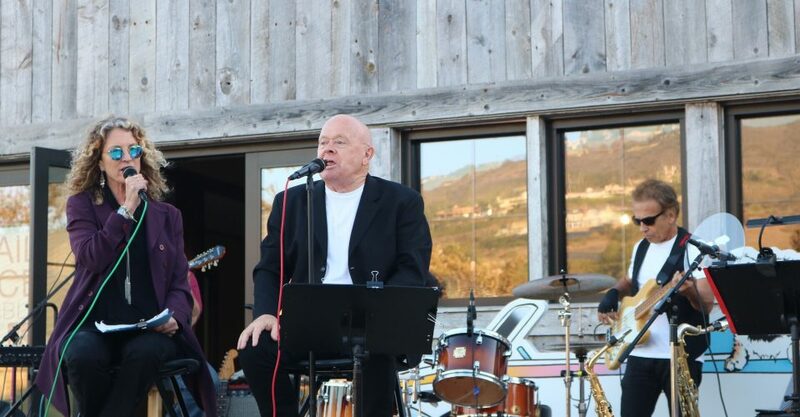 Malibu’s Vintage Grocer’s typically hosts concerts every Friday from 6 to 9 p.m in the summer. This season wrapped up on Sept 14. and the plan is to start up again June of 2019. 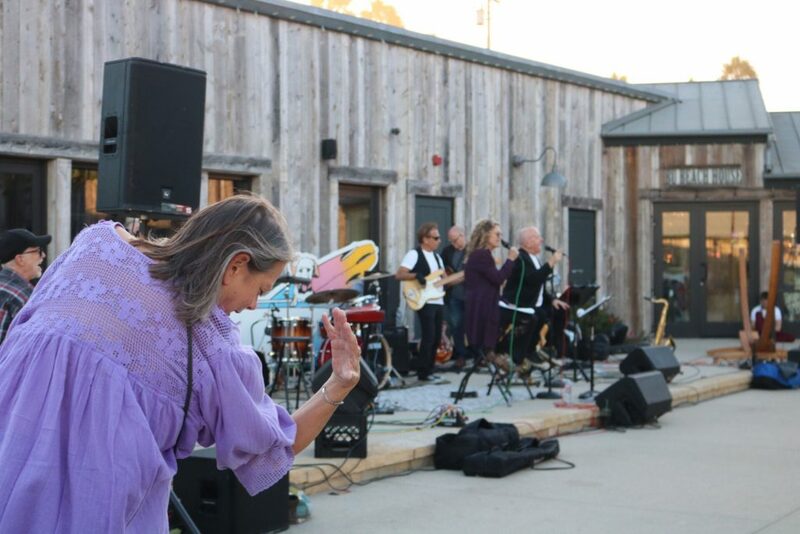 With restaurants for guests to enjoy dinner while listening to the live music and a large common lawn, the venue is a place to dine, shop and see concerts. 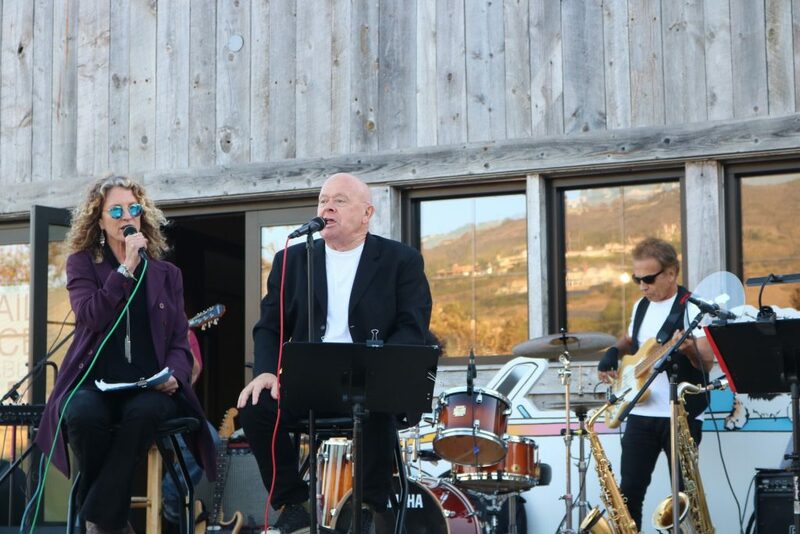 The Vintage Grocer’s Concert Series is in its fourth year and the Malibu community has embraced it since its beginning. Last Friday’s concert was the last one of the year. 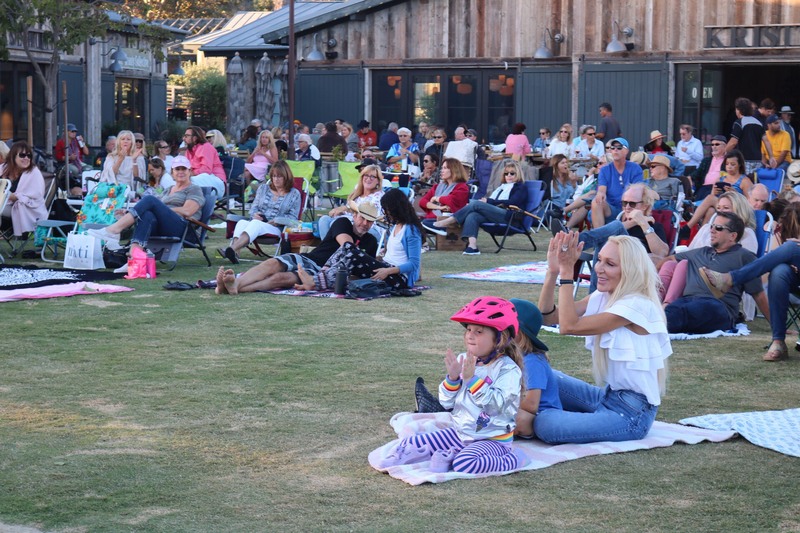 The Vintage Summer Concert Series put on by Melissa Darpino who is part of the Marketing team that helps organize the Vintage Summer Concert Series and the Thursday night movie series. Lenny Goldsmith is part of the The New Old band. The goal with their music is to remind people over the age of 50 that they still have the time to do what they wanted to do “before life got in the way,” Goldsmith, the founder of the New Old Music Group, said. 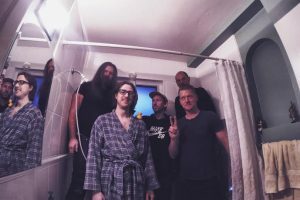 Each member of the band has a long history of music, said Lenny Goldsmith, who plays with members Joe Turano, John Watkin, Bill Bodine, Jon Woodhead, Terry Landry, Dennis Kenmore, Jerry Peterson, Charley Pollard and Tom Canning. Despite most of the members receiving Social Security benefits since the youngest in the group is 63 years old, as Lenny Goldsmith said, the band is still performing and doing gigs. Goldsmith said he believes really appreciating music, especially older music, comes down to understanding its history. Goldsmith said he encourages aspiring musicians and music majors at Pepperdine to develop their own style, just as The New Old’s music is a mix of various styles. 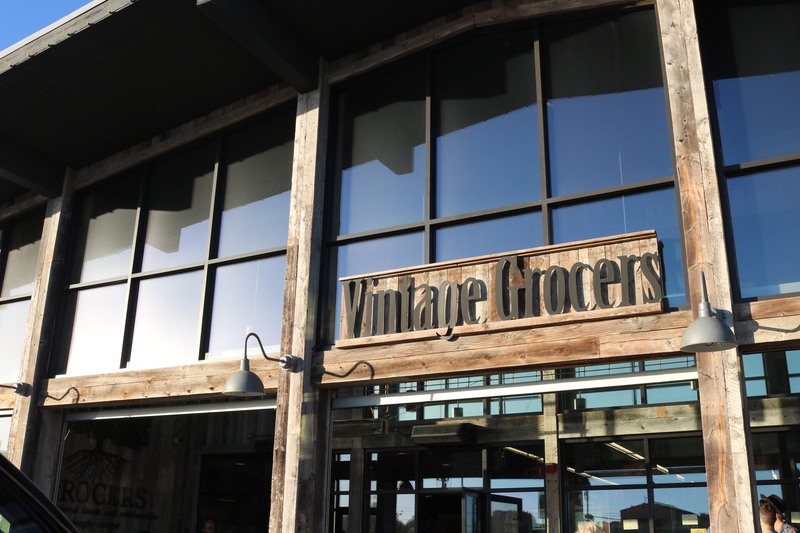 Darpino said she looks forward to the evolution of the Vintage Grocer’s Summer Concert Series. 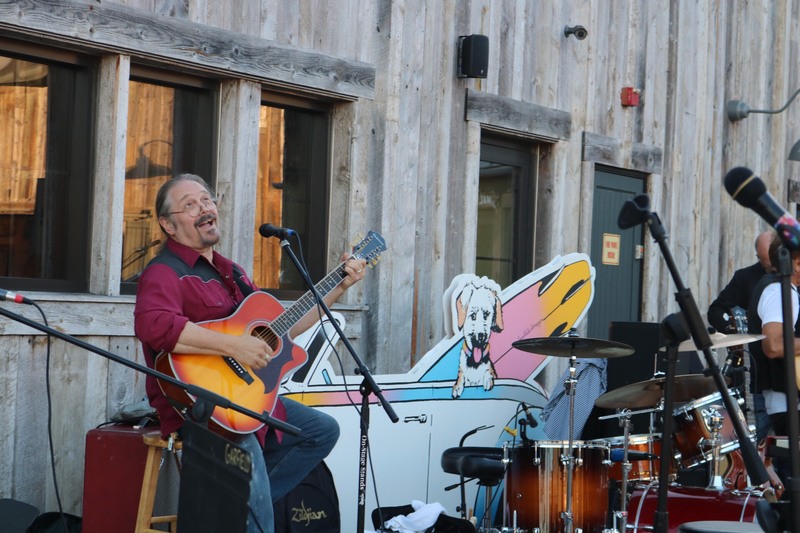 Although the Vintage Grocer’s concert series is over, Goldsmith said he encourages students to continue to appreciate music and to find and develop their own gifts.